To get to Coastal Canyon Events, you first drive a little south of Half Moon Bay then up a canyon to the top of a hill overlooking the San Mateo County Coastside. 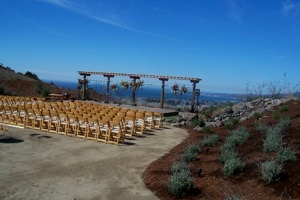 It’s probably the best long views towards the Pacific Ocean and Half Moon Bay I know of for a wedding ceremony setting. This site can seat up to 250 people with a parking area for up to 150 cars. The area for the wedding ceremony is surrounded on three sides by hay fields that gives a sense of space and remote beauty. Candace, co-owner, is a “concrete artist” by trade and so she has incorporated many unique concrete sculptures and massive rocks to give added beauty and a feeling of expansiveness. This location would be good for an elegant affair and is an especially unique location for a country western wedding theme. 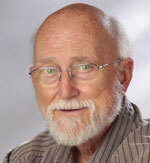 Get more information at www.coastalcanyonevents.com or contact Candace at (650) 224-7933.